A fine Hans Christiansen designed Vienna Secession pedestal. 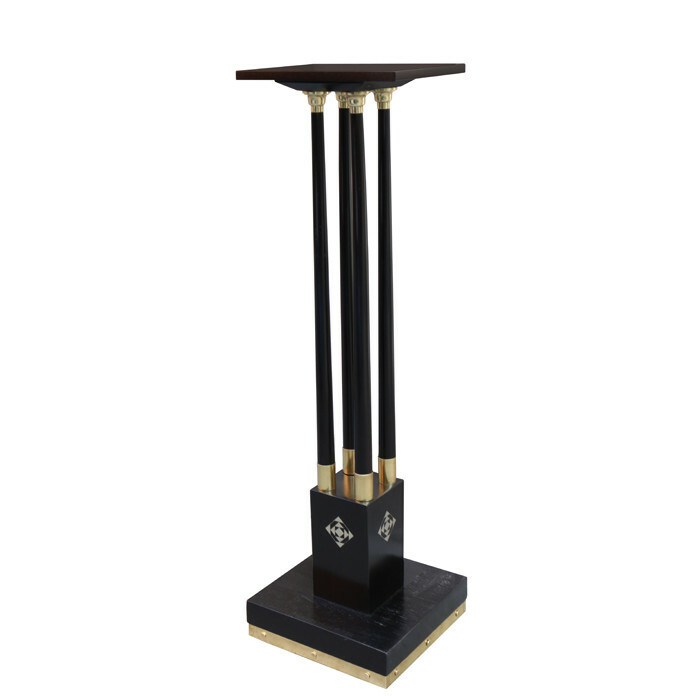 Ebonized oak with patinated bronze base and details, featuring patinated bronze inlay work on all four sides of the lower central pedestal. Dimensions: H:45 Top: W: 13¼ D:9¼ Base: W:13¼ D:13 Inches.